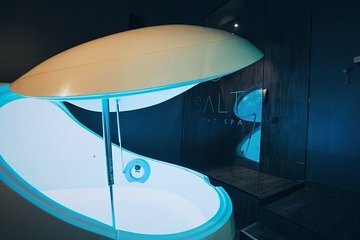 Soak away your tension during a 1-hour float tank session in Queenstown. Without gravity, sight, sound, or touch, you can fully relax and float effortlessly in a warm bath loaded with epsom salts to help reduce stress and soothe sore muscles. The spa is located a short walk from downtown Queenstown, and parking is available onsite. Shower facilities, a relaxation room, and tea are included.